I'm so excited to share that next week (14-22 June) will be Just A Card Week. Those of us at Team Just A Card and all of our supporters will be shouting very loudly about the importance of supporting independents and shopping small with an Instagram challenge, daily social media tip blog posts and an amazing giveaway (which will be run by yours truly). Head over to the Just A Card blog to find out more about the week! We launched our wonderful Just A Card pins (here I am modelling mine in Seattle) and they SOLD OUT in less than 48 hours! They're beautifully made and are a great way to shout quietly about the campaign (if that's more your thing!). To find out when they're back in stock head to the Just A Card website and join the mailing list. 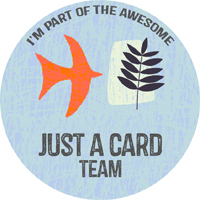 Looking forward to sharing all the Just A Card love next week! 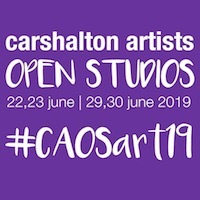 Do remember that if you're after a Just A Card sticker for your shop window you can collect one from me at Carshalton Artists Open Studios on 23/24 June and 30 June/1 July. I'll be at stop 14 on the trail which you can find here.